Prevailing liberal analyses of the War on Terror have tended to focus on its overseas injustices, missing the experiences and targeting of Muslims in the US. While recent revelations on the NSA’s massive data collection have elicited outrage, the sprawling counterterrorism structures of policing, surveillance, and criminalization of Muslim communities and the pattern of rights abuses in federal terrorism prosecutions have drawn less scrutiny. This panel attempts to explore the ways that racialization and Islamophobia are central to the national security state at home, looking at the flawed ideas of “radicalization” that underpin it and the rights abridgment that characterizes the domestic War on Terror. Arun Kundnani is the author of The Muslims are Coming! Islamophobia, extremism, and the domestic War on Terror (Verso Books, 2014). Born and bred in London, he moved to New York in 2010 on a fellowship with the Open Society Foundations. His first book The End of Tolerance: Racism in 21st century Britain (Pluto Press, 2007) was selected as a New Statesman book of the year. 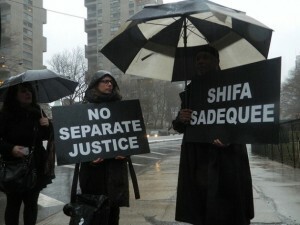 A former editor of the Journal Race & Class, he currently teaches at New York University and John Jay College. Jeanne Theoharis is professor of political science at Brooklyn College and co-founder of Educators for Civil Liberties. She is author or co-author of seven books, including the recent, award-winning biography The Rebellious Life of Mrs. Rosa Parks. She has written extensively on rights abuses and the domestic War on Terror for The Nation, Slate, the Progressive and the Chronicle of Higher Education. 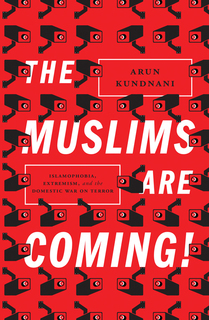 Copies of Arun Kundnani’s The Muslims are Coming! will be available for sale.